but you can see there is some real interest in this personal setting. Aww, the kids are colour-coordinated with Mummy. It's sweet that were invited to tea with the special guests. I think a good friendship is growing here. They have so much in common and you can see the ease of their interactions. Very nice to see. I agree. They seem very natural and at ease together. Agree. And talk of young children can be a bonding point. Indeed. 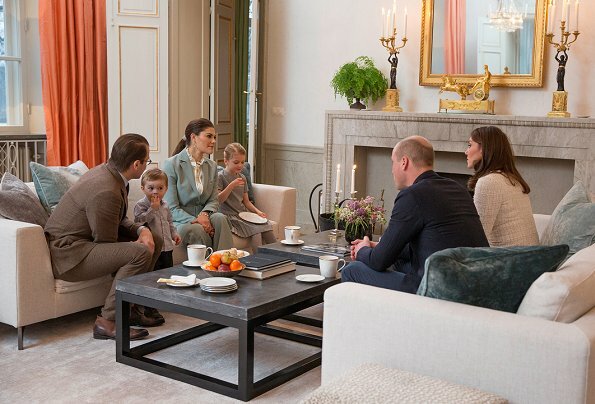 William and Catherine need network with other European royals and I think these Victoria and Daniel, later also Mette Marit & Haakon, Mary & Frederick. It is clear these four here like each others. Nice to see Oscar smiling again. 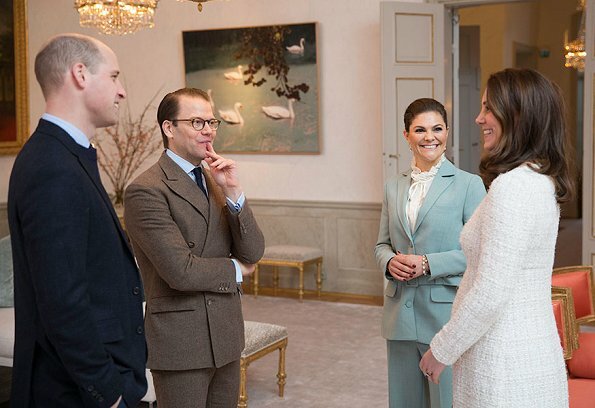 Disappointed to not see Prince Carl Philip, Princess Sofia and Princess Madeleine during the Duke and Duchess's visit to Sweden. 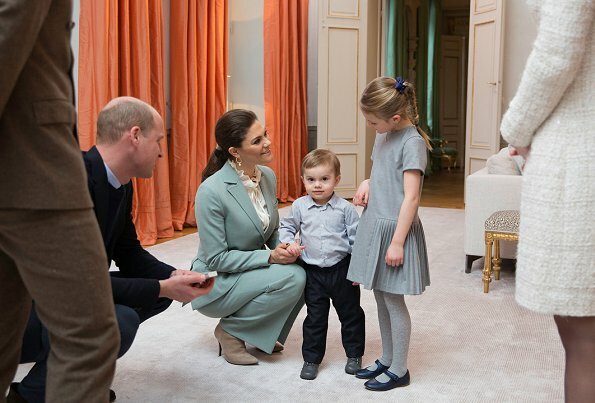 It would seem that they would have a natural friendship, being of royalty and being loving parents. Kate and William are perfect.British monarchy is the best. They have style and they no how to behave. Why is Victoria keeping her hair like that? It makes here head gigantic and she do not look well in it either. Learn from Kate and Meghan. Victoria looks lovely as do her children. Beginning to a beautiful friendship?